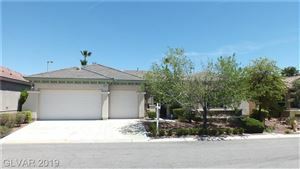 Cielo de Oro in Summerlin sits at the base of the mountains in The Mesa village in Summerlin, 89135. Homes in Cielo de Oro range from 2,102 to 3,147 square feet with 3-6 bedrooms and 3-5 bathrooms. New home prices range from $364,490-$428,490. Built by Woodside Homes, the semi-custom homes in Cielo de Oro feature kitchens with granite, generous pantries, GE appliances, and awesome outdoor living spaces. Download PDF of Cielo de Oro Home Features. If you are interested in purchasing a new home, you will want the representation of a Buyer's Agent to make sure that you get the most home for the best price, so make sure you contact Beth today at 702.672.6791 to start your new home search!